Ahhhhh Paris, city of romance. Most people only dream of a Paris France vacation, a Parisian holiday. You must visit Paris at least once. But a few days visit in Paris can be yours for much less than you might think. Let me say however, when you visit Paris that the American dollar is not going nearly as far as it used to go. If you’ve been there before you will notice a current visit to Paris will take more money than in previous years. The normal response I receive when people talk about a Paris France vacation is it cost many thousands to go. 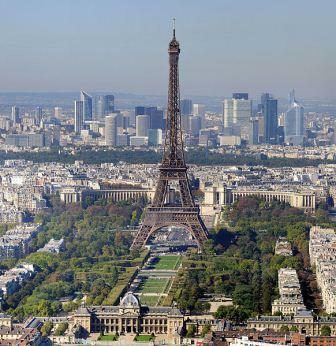 Visit Paris on a budget and that price can be slashed quite a bit. If you don’t have much money or time, why not consider that Parisian holiday for under $2,000 per person. Sound impossible, well it’s not. Visit Paris France with me if you’re lucky enough to catch me in time, between my safari trips. Consider going to visit Paris France in the off season which is November through March. Early November or late March would be ideal times to visit Paris as the rates are much lower during this time. In November, the weather is just beginning to get cold, but you might encounter a little Paris rain. Late March seems to be an ideal off season time to visit Paris France. The weather has improved somewhat and the rates are still low. I recently escorted a group of clients anxious for a Paris France vacation on a low budget cost. My clients were not able to afford an expensive trip but they had a burning desire to visit Paris. I made that possible for them. I arranged a five night package for under $1500.00 per person. Our accommodations were at three star properties, and they were lovely. Having escorted a group there previously, I was able to see and inspect properties on my previous visit to Paris, so I knew which hotels would work for this group. To visit Paris this time we took a late night flight out of Los Angeles. It provided an opportunity to maximize the time by arriving in Paris late in the afternoon, still during daylight, with time to explore the surrounding areas. The accommodations I selected for visiting Paris France were close to the Champs de Elysee, yet accessible to all of the major sights. When you visit Paris France, there is a Hop On, Hop Off bus that stops in front of all the major attractions. You can hop off the bus at any time and stay at the site for as long as you want to. Catch another bus when you are ready to leave, now that’s pretty convenient and easy to do. You can continue to do this until you have gone to the Eiffel Tower, the Louvre, the many museums, the Arc de Triomphe, and the Champs de Elysee. Been here? If so, add your insights below about this exciting travel destination. To be frank, five days doesn’t really give you sufficient time to visit Paris France and go to the Loire Valley or out in the countryside. But for most people who have a burning desire for a Paris France vacation, these are the main sights they want to see. Besides stay a lot longer and the cost will go up, maybe out of your budget if you are on an economy or no frills trip. My group was on their own on this visit to Paris France. We met two nights as a group to attend a show at the Lido, and a Fashion Show at Galleries Lafayette. The remainder of the time everyone was on their own to enjoy their Paris France vacation as they saw fit. That way they had freedom to do as they wanted and not feel constrained to a rigid routine. You need to have some freedom in Paris since there is so much to see and do. At the end of the five days, arrangements were made to pick up everyone at the hotel and head on out to the airport. Taking a survey of the group, everyone thoroughly enjoyed their Parisian experience. They were glad they went and felt five days allowed them to visit Paris and see many of the things they had on their list. It was unanimous that the price was right, the timing was right, the weather was right and the length of the trip, and the trip itself was perfect. Visit Paris and don’t give up on your dream of a Paris vacation because you think it’s not affordable. Think again, and you may find yourself strolling down the Champs de Elysees or exploring the fine art at the Louvre. On your Paris France vacation enjoy all it has to offer. Paris is waiting for you. Kay is an avid safari photographer who writes articles for herself and magazines. Her favorite interests is traveling, especially on safaris. Contact Kay from the Contact form at her travel site. Paris France, Paris France Vacation, Vacation. Bookmark.